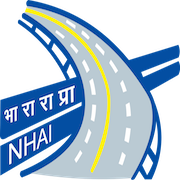 Online Application Details for National Highways Authority of India NHAI Recruitment of 14 Site Engineer is given below. Application form and duly attested documents are to be sent to General Manager (Tech), Regional Office, National Highways Authority of India, 301-A, 3rd Floor, Pal Heights, Plot No. J/7, Jaydev Vihar, Bhubaneswar, Odisha- 751013. In envelope super scribed with 'Application for the Post of Post Name'.